Where can we find some of these corrupt cases? In churches, both private and public sector, amongst politicians, just to mention a few. In 1988, Professor Adu Boahene gave a lecture at the Ghana Academy of Art and Sciences; this was amongst a series of lectures he delivered on that occasion. The recent institution that has joined the train of institutions to fight corruption cases in this country is the creation of the Office of the Special Prosecutor which is headed by Mr Martin Amidu. Have these institutions been able to tackle these cases? 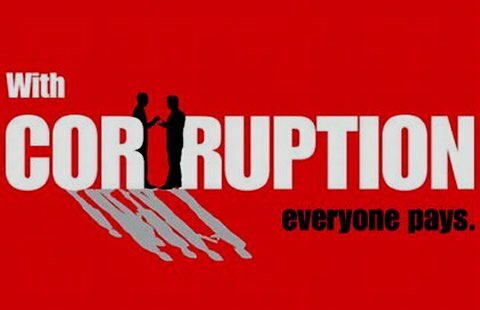 Has there been any issue regarding corruption that has hit this country? Readers will answer these questions for themselves. Indeed, this was one of the documentaries that really shocked the entire Ghanaian populace. In resolving the crisis, the Ghana Football Association (GFA) president Mr Kwesi Nyantakyi, was relieved of his position while the government also dissolved the GFA. Mr Anas thereafter petitioned FIFA about the documentary and FIFA after studying it banned Mr Nyantakyi from all football-related activities for life, yet Ghana’s Attorney General says there is not enough evidence to prosecute him. It becomes even worrisome when the issue has got to do with politicians. Looking at how corruption cases are treated in the country, “will it be ideal to legalize it to enable the players in the game to do it well”? Should we have a Ministry headed by a Minister who will oversee the affairs of corruption and be promoting its course? There has been no strategic improvement from the 1970s and the 1980s; something Prof. Adu Boahene alluded to. One can observe that the issue has rather escalated from worse to worst and our institutions are not “biting hard enough” and even if they are biting, they are not biting the big fish.